Explore the unique eco-system of the Everglades. Take a fun Airboat tour and see Alligators during a wildlife show. These Everglades Tours are fun for the whole family. The Everglades are a sub-tropical wetland in South Florida. There are millions of Alligators, Birds, and various wildlife to see while on an Everglades Tour. 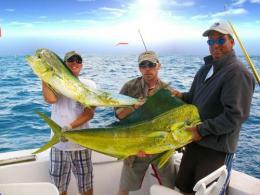 Tour guides will inform you of many fascinating information about the Everglades and its wildlife while on the tour. The Everglades is a must see while in Fort Lauderdale and South Florida. The Fort Lauderdale Everglades Tour with Airboat Ride and Alligator Show is a fun and easy way to tour the unique eco-system of the Florida Everglades. Enjoy a 1-hour airboat tour and see alligators, various birds, and many other wildlife. After the airboat ride, is an exciting Alligator Wildlife Show. 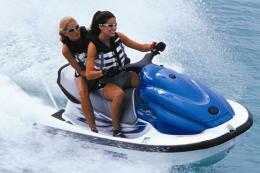 Pick-up from select Fort Lauderdale hotels is included. An Everglades Tour is a must-do while in Fort Lauderdale. The Florida Everglades is a must see and the Full-Day Everglades Safari Tour is the only Everglades eco-tour and the only full-day Everglades tour. This is also the only Everglades tour which visits mangroves, sawgrass prairies, pine flatwoods and cypress swamps. Included on the tour is a 45-minute airboat ride, nature drive, nature walk in the Everglades, restaurant lunch, a 90-minute sightseeing cruise, an expert Naturalist Everglades tour guide, and Ft Lauderdale hotel pick-up and drop-off. 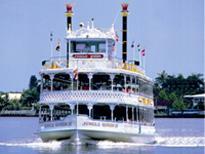 The Fort Lauderdale Everglades Tour from Hollywood includes an Airboat Ride and Alligator Show. This tour is a fun and easy way to tour the unique eco-system of the Florida Everglades. Enjoy a 1-hour airboat tour and see alligators, various birds, and many other wildlife. After the airboat ride, is an exciting Alligator Wildlife Show. Pick-up from select Fort Lauderdale hotels is included. An Everglades Tour is a must-do while in Fort Lauderdale. 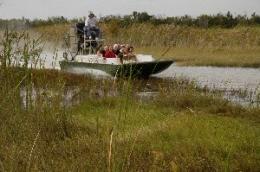 The Fort Lauderdale Everglades Tour is a fun and easy way to tour the unique eco-system of the Florida Everglades. This Everglades tour includes a 1-hour airboat tour and an alligator show. 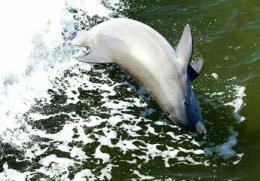 The Everglades Tour includes pick-up and drop-off at Port Everglades and FLL Airport.